FACILITIES: 3 Levels, 3 Bars, Dancefloor, (136m2), Stage (72.25m2, Restaurant, Balconies, Basement. DANCEFLOOR SOUND: Equipment by Court, Proflex & Altec. 2.5K. DANCEFLOOR LIGHT: Control Equipment by Gamma. 15,000 watts of lighting. 43km of 1.5mm hard wire. VIDEO: 2 x 2450mm low gain screens, 2 X Sony VPK 720PS video projection units and power packs. COLOURS: Pigeon Blue, Poppy, RAF Blue, Aztec Gold, Salmon Red, Black, Aluminium, Pale Gold, Goose Grey, Signal Red & Light Orange. DESIGN: Ben Kelly / Peter Saville (Graphics). LIGHTS, SOUND, VIDEO: Martin Disney. 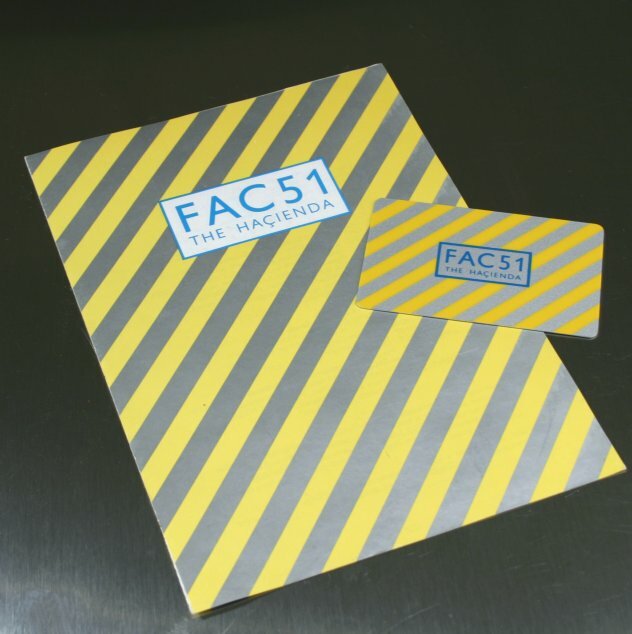 APPLICATION: Passport photograph, SAE, and cheque made payable to FAC51 Ltd., and sent to The Hacienda, 11/13 Whitworth Street West, Manchester, M3 3AL. INTENTION: To restore a sense of place. 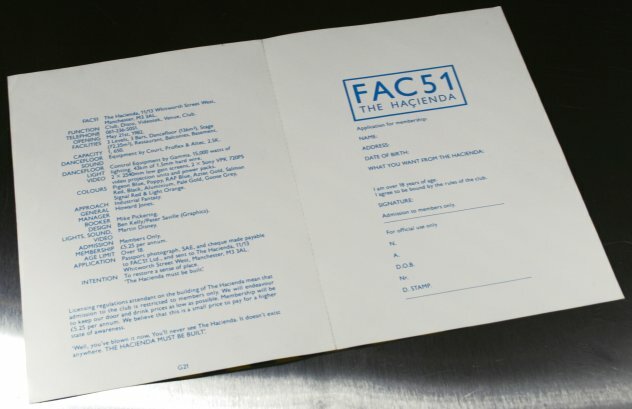 'The Hacienda Must Be Built'. 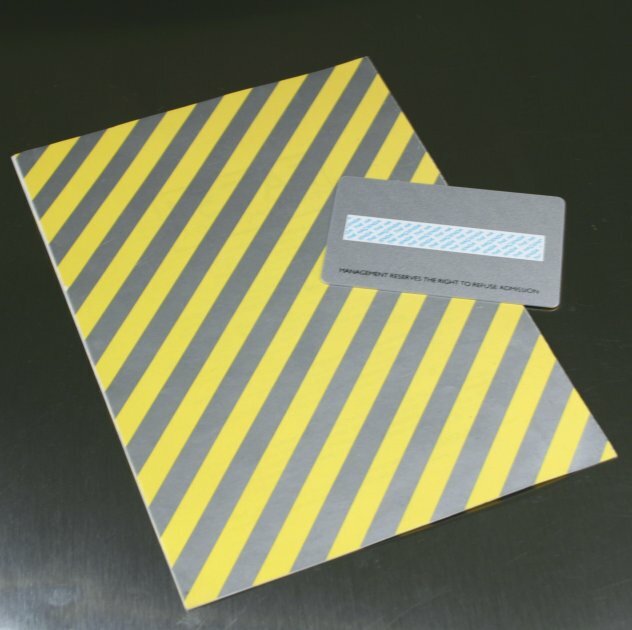 Licensing regulations attendant on the building of The Hacienda mean that admission to the club is restricted to members only. We will endeavour to keep our door and drink prices as low as possible. Membership will be £5.25 per annum. We believe that this is a small price to pay for a higher state of awareness. "Well, you've blown it now. You'll never see The Hacienda. It doesn't exist anywhere. THE HACIENDA MUST BE BUILT'.